With the Investec Ashes series locked at 1-1 going in to the third test at Edgbaston, England seamer Stuart Broad has backed the side to bounce back when the teams line up on Wednesday. 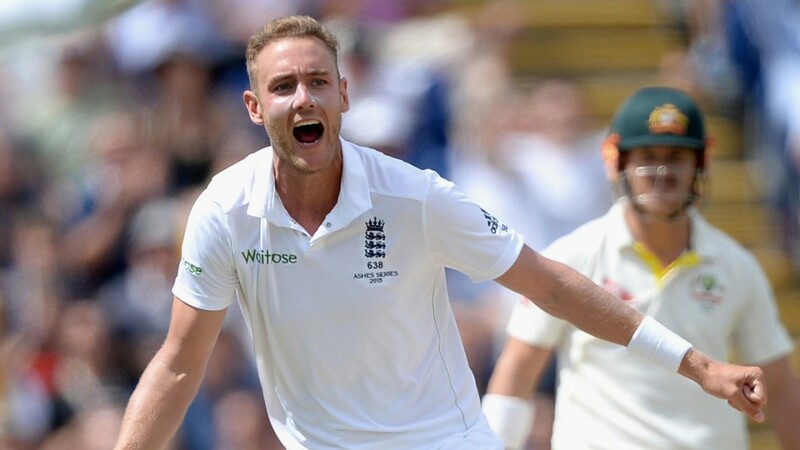 Broad has been one of the star performers in the first two tests, taking nine wickets including 4-83 in the first innings of the Lord’s test where Australia compiled 566 on their way to a 405-run victory. With matches coming thick and fast over the next two weeks, including at Broad’s home ground Trent Bridge, the Nottinghamshire bowler believes they have a lot to improve on heading in to the busy period. “In the first innings especially (at Lord’s), the 10 wickets we lost, they weren’t good balls,” he said. “We gave them 10 wickets, and in Test match cricket you’ve got to make teams work hard for their wickets. “I think when we get to Edgbaston you’ll see a very determined, steely, skillful batting line-up for England. I think it’ll be a big change from Lord’s. “Let’s not forget that Edgbaston and Trent Bridge are two fantastic grounds for the England cricket team. “We should have a lot of confidence. The last Test I played at Edgbaston, Cooky (Alastair Cook) got 294 (against India in 2011) and we won by an innings. Despite all the criticism leveled at England following the Lord’s loss, Broad says he is staying levelheaded with the series locked at 1-1. “A lot has been written this week about it being the end of the world, like we’re losing 10-0,” the 29-year-old said. “But, actually, it’s 1-1. They’ve played fantastically one week; we’ve played fantastically one week. Let battle commence. “In an Ashes series, it’s so crucial to be mentally and physically fresh. Tickets for Day 5 of the otherwise sold out Fourth Investec Ashes Test at Trent Bridge are still available priced at just £20. Don’t miss the chance to watch the sport’s most historic contest and secure your seats now. This entry was posted in Australia, England on July 28, 2015 by Daniel Robbins.